We cannot even express how happy we are to see this styling. Lets just say, this comes as a whiff of fresh air amongst all the Zaras, SVAs, Diors Loubs, etc etc. 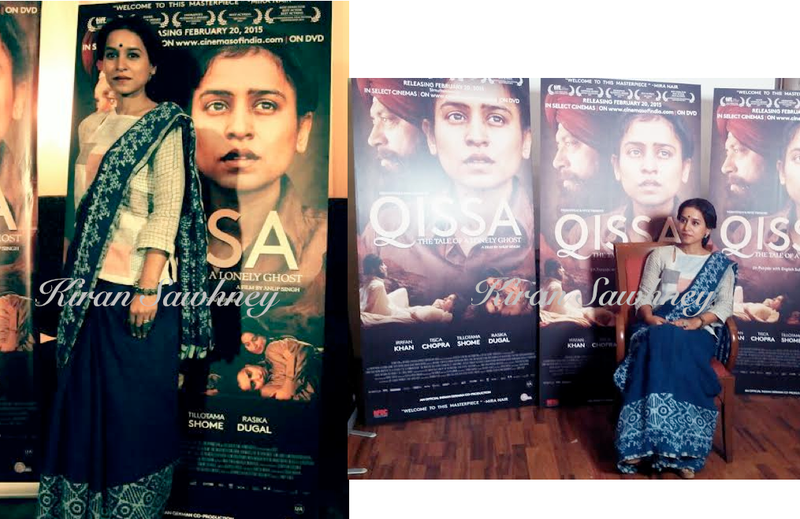 Tillotama Shome at promotions of her film Qissa in which she stars along with Irfan Khan. 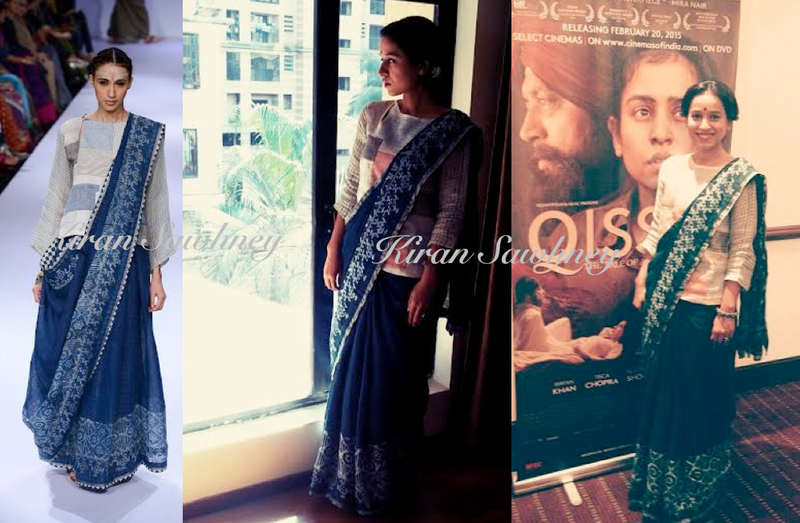 She is wearing a handwoven linen saree by Anavila and jewellery by Amrapali. We love the styling. How simple. Yet, it just touches the heart. We are almost jumping with joy. Perfect.